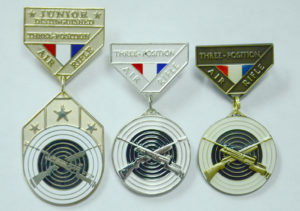 The CMP National Championship is the final event in the CMP Three-Position Air Rifle Championships. Qualification for this match comes form the CMP Regional Championships as well as the State 3PAR Junior Olympic matches. Each match will consist of one 3x20 with finals for the top eight shooters in sporter and precision. 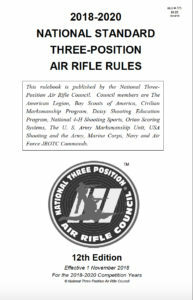 The National Three-Position Air Rifle Junior Olympic Championship and CMP 3PAR National Championship programs will be posted in April 2019. The dates of the sporter competition are 27 - 29 June 2019 and the dates of the precision competition are 13 - 15 July 2019. A detailed schedule will be posted. 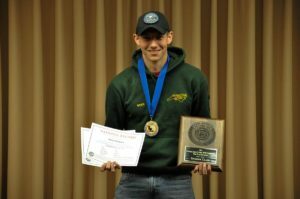 The CMP will also be conducting a smallbore competition July 16 - 24, 2019 during the National Matches at Camp Perry, Ohio. Athletes that are interested can find more information by going to the Smallbore Page. Please complete the online registration to confirm entry. Please let us know if a team or individual cannot attend by emailing [email protected] or by filling out the declination form. Registration for each event will close two weeks prior to the match. Approximately 310 athletes in each class will be invited to attend this event. 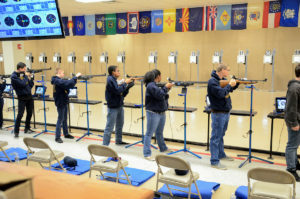 Athletes must fire in the CMP Regional or 3PAR Junior Olympic State championships to qualify. Regardless of how a team or individual qualifies, they are eligible to fire in BOTH days of competition. Automatic Scores are used so that teams and individuals can make travel arrangements as soon as possible after they have competed at the State Junior Olympic level. Subsequent at-large qualifiers will be notified as soon as possible after State 3PAR Junior Olympic championship scores are finalized. The number of at-large qualifiers will depend on the number of automatic teams and individuals that qualified. Teams or individuals that qualify at the Regional and also automatically qualify at the State 3PAR Junior Olympic Championships will count as a CMP Regional qualifier. Teams. Each qualifying team may bring up to five athletes to the competition. If a team brings five shooters, they must designate four team members and one alternate at the time of check-in. Before the team fires, changes can be made to the team members counting for the team score. Individuals. The four members of each unit team, all individual qualifiers, and all alternates will compete for individual awards. Frequently Asked Questions on Qualification. My team qualified at the CMP Regional Championship and during the State Junior Olympic 3PAR Championships. Does that mean I can bring two teams? No, not if the team had one or more of the same team members in both competitions. So, how can I bring two teams? If two or more 4-person teams from one club or school qualify during the CMP regional Championship, or two or more teams from the same club or school qualified (by either firing the automatic score or by being an at-large qualifier) at the 3PAR State Junior Olympic matches additional teams are invited from the same organization. Secondary teams from the same team organization must be comprised of different shooters than the first team. An individual or individuals on my team qualified, does that mean I can bring 6 or more shooters? Only if the individuals do NOT fire for the team score. The individual can represent the team, however you will not be permitted to substitute that individual for a member of the team and still bring more than 5 shooters. One or more of the original team members cannot attend, can I replace them? Yes, you may replace those team members with other members of your team, even if those members did not fire in the qualifying competitions. Three or fewer individuals from my team can attend. Can the individuals still come and compete as individuals? If their individual scores would have qualified them on their own, they may still compete. If this is not the case, then he/she will not be permitted to attend as an individual. 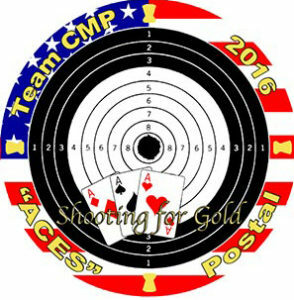 I had individuals qualify at the CMP Regional, and our team then qualified during the State 3PAR Junior Olympic match. Can that person fire as an individual and not part of the team? If the team does not attend, yes, he/she may attend the match as an individual. If the individual was not part of the team that qualified during the State Junior Olympic 3PAR match, yes, that individual may still fire on his/her own. However, if the team brings more than 5 shooters and this individual, the individual should NOT fire for the team score. 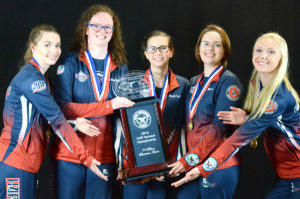 If that individual was part of the team that qualified during the state Junior Olympic match, then they would now be considered a team member, and should be part of the 5 people competing with the team. No additional invite is permitted. For instance, bringing the individual and 5 additional shooters for a total of 6. Travel and Accommodations. Information on travel and accommodations can be found here. Entry Fees: The entry fee is $50 for each team member, alternate or individual shooter. There are no additional team entry fees. Please note, full refunds will be issued up to two weeks prior to the match. Cancellations within two weeks will receive a 50% refund, and no refunds will be issued the day of check-in. Liability Forms. All coaches and instructors, athletes or chaperones over the age of 18 must complete a CMP Liability Release Form. 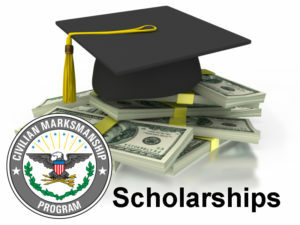 It may be completed, notarized and returned to the CMP at the time of check-in at the CMP Competition Center. 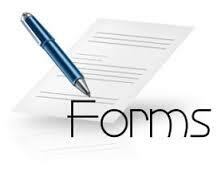 This form can also be completed and notarized at time of check-in. A notary will be on duty during check-in. Parental Consent Forms. All participating athletes under the age of 18 must submit or bring a signed Parental Permission Form at the time of check-in. A copy of this form is also included with this program. Relay Squadding. Squadding will be posted on the championship website by 14 June. Team squadding will be done randomly. Special requests to change team member firing order will not be accepted. Team Check-In and Equipment Control. At check-in, teams must confirm final entries, identify alternates (if any), and purchase additional cookout tickets for $10. All competitors must have their air rifles and shooting equipment checked at equipment control. 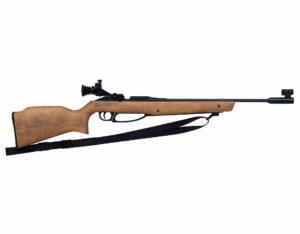 Sporter air rifles will have trigger weights checked (1.5 lbs. minimum). Sporter clothing will be checked. 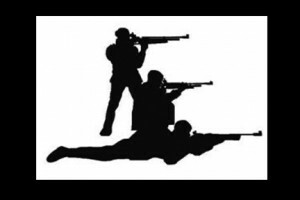 Shooters must come to equipment control with air rifles, slings, shoes, kneeling rolls and all clothing they will wear during competition. Prone mats will be provided. Spotting scopes are not permitted, and are not needed for electronic targets. Cookout. 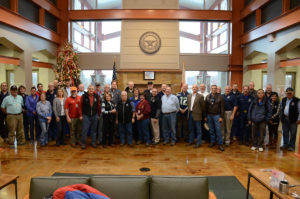 There will be a cookout on the evening of the CMP National Championship. There is no additional fee for the cookout for athletes and coaches (1 coach per team or individual). Tickets will be issued at check in for the coach and athletes. Additional tickets can be purchased for $10. Air Cylinders. It is the shooter's responsibility that any air or CO2 cylinder has been certified as safe and is within the validity date. Shipping Air Cylinders. The Transportation Security Administration has increasingly denied transport of air and CO2 cylinders in checked baggage in checked baggage. Teams that plan to travel by air are advised to ship air or CO2 cylinders in advance to the address below. Cylinder packages should have the name of the team printed on the outside of the package. It is recommended that you ship via FedEx or UPS so that you have a tracking number for your packages and that you ship a RETURN LABEL to ship them back. Electronic Targets. 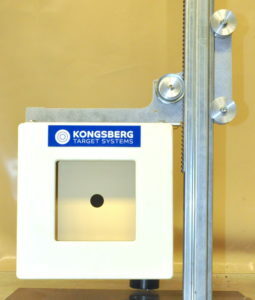 The matches will be fired on KTS Electronic Targets. Shooters should not bring spotting scopes because the exact shot locations are shown on electronic monitors at each firing points. Shooting Mats. Shooting mats will be available but are not required to be used. Air and CO2. Compressed air and CO2 gas will be available at the range. Score Posting. All scores fired will be displayed on the CMP Competitor Tracker results system. Scores and competitor rankings will be displayed electronically on the range throughout the competition. Preliminary and final printed results bulletins will be posted on the bulletin board. Clothing. All championship events will be informal. Please be sure apparel is appropriate at all times. 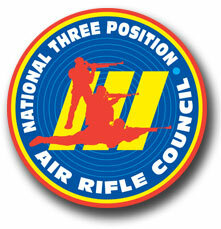 If you have questions regarding the National Air Rifle Championships, contact CMP Competitions, 419-635-2141, ext. 731 or [email protected].